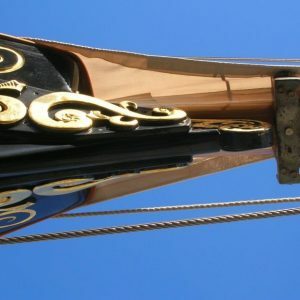 Waitangi is a vessel built in 1894 by Robert Logan using a method of frameless multi-skin diagonal construction. It is a rarity since gaff-rigged yachts of this age are in scant supply but even more importantly very few are in use. Waitangi is fully functioning in the water with overall considerable cultural heritage significance on a national level. The conservation plan is founded on national and international conservation standards and relevant charters. 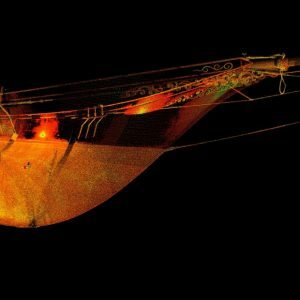 The conservation plan forms the basis for structural upgrade of the vessel. Inappropriate changes to the design in the past have jeopardised the structural integrity of the yacht and caused damage to the hull. 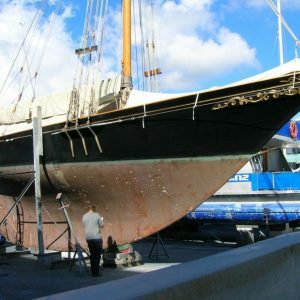 The conservation plan includes recommendations for the appropriate repair and conservation of the yacht. 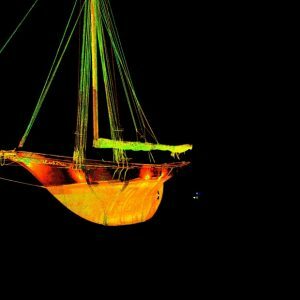 In recording Waitangi, advanced three dimensional scans of the vessel have been made to produce an accurate record of its existing form and structure.